Hiking up the mountain by different trails…Beautiful as it is, you may get rewards from the moments of tranquility and idyllic views. 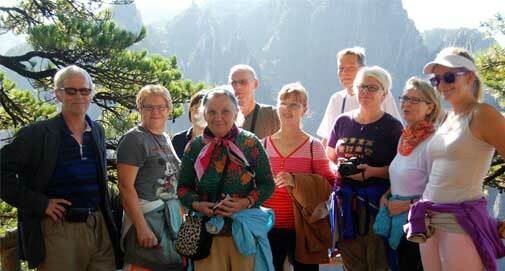 The main thing to do in the Yellow Mountain is walk around and take photographs of the scenery which is spectacular, beautiful, different and varying in appearance with every change of weather. The same view looks quite different by day in fine weather or with cloud, early morning or late evening. Sunrise and sunset are renowned but, of course, dependent on the weather. All of the scenic area is gorgeous but the following spots are highlights: Lotus Peak, Narrow Cliff, Fair-walking Bridge, Cloud-dispelling Pavilion, the rings/loops north of Xihai Grand Canyon, Refreshing Terrace, Beginning to Believe Peak and White Goose Ridge. 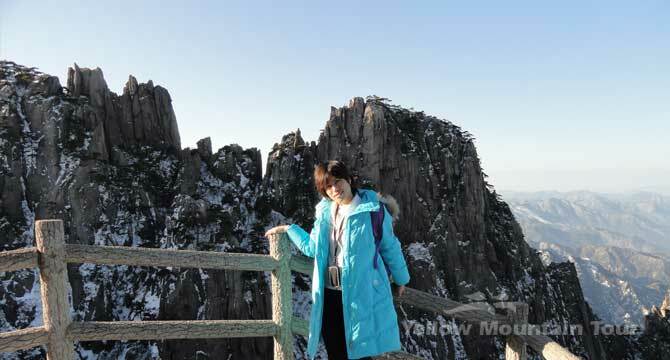 It is always a great time to visit the Yellow Mountain in a year because it is a yearround destination. 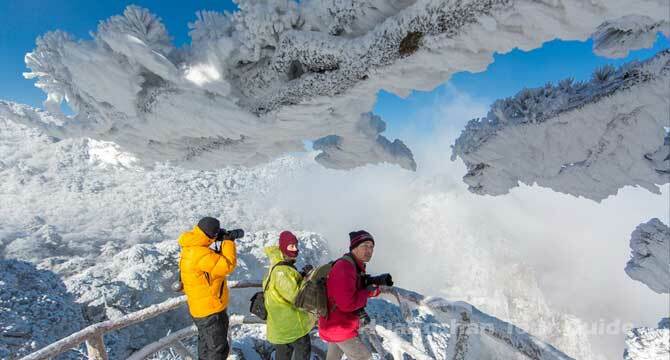 Touring the Yellow Mountain in different seasons, you will have uniquely different yet beautiful experiences. 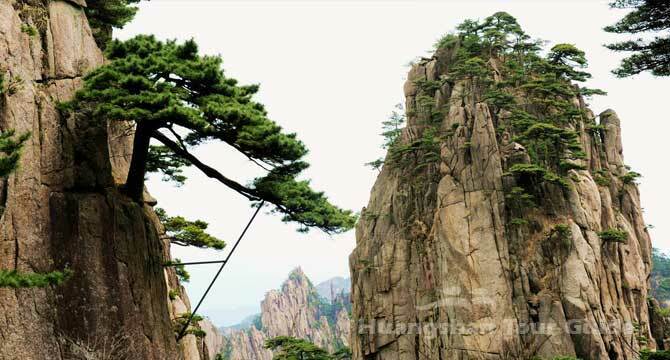 Avoid traveling the Yellow Mountain during any of the China’s national holidays if at all possible, as transport and tourist areas are packed and prices for hotels at least double. The holidays are the Chinese New Year (Feb.7-13, 2016; Jan 27-Feb. 2, 2017), May Day (May1-7), National Day (October1-7), Tomb Sweeping Day (April 2-4, 2016/2017), and Middle Autumn Festival (Sep 15-17, 2016; Oct. 4, 2017). Covering over 250 square kilometers (nearly 100 square miles), the Yellow Mountain has a humid sub-tropical monsoon climate with four distinct seasons. The weather is characterized by abundant cloud and fog with heavy humidity. Rainfall is plentiful, with annual precipitation at 2,395 mm, concentrates in April - June. There are about 183 rainy days and 49 snowy days per year. The summer average temperature is 25℃, and the average temperature is above 0℃ in winter. 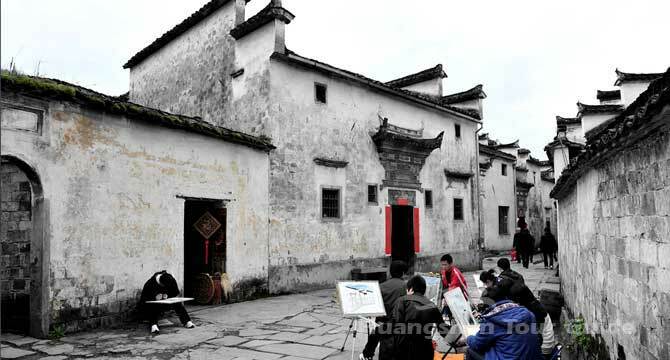 The best way to get in the Yellow Mountain is by air via Shanghai, Beijing, and Guangzhou. High speed train is also a good choice from Shanghai and Hefei. 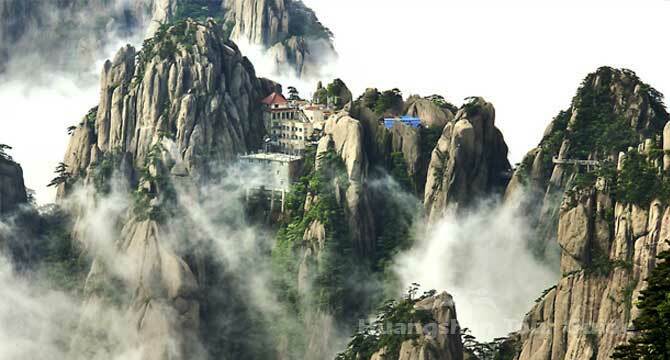 There are no restaurants in the mountain. Tourist must arrange their meals in the hotels. 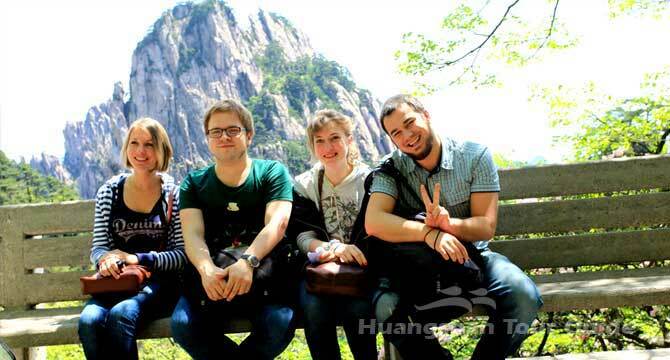 On the top of the Yellow Mountain, you can choose to stay overnight at one of several hotels in the Beihai and Xihai regions of the mountain to watch the sunset and sunrise.